Post-Google update season is typically a boon for SEO providers (good ones and bad ones unfortunately). The industry isn't dead or dying, it's simply evolving. In fact, most things in the business world do not "die", they simply evolve. If all you do is bemoan the fact that a particular area of your business is evolving past what may be working now then you'll surely miss the boat on the next wave of success. Even if you don't miss the boat completely you'll be stuck in a self-perpetuating game of always chasing something rather than being out in front of it. Chasing successful models, rather than creating them, certainly can be profitable but you should strive to have a mix of both in your business. Whether it's a completely new business segment (say PPC if you largely do SEO) or just new tactics (more diverse link building for your own web properties, as one small example) you should be looking behind you, to your left and right, and in front of you. Many of these items can be thwarted by having a clear, frank discussion about what you'll be doing and by setting parameters from the outset. Hopefully you're in a position where you don't have to sell to eat; meaning, running lean and avoiding debt-leveraging is the best way to be able to hand pick your clients (in my experience). If you have to take on everyone who walks in the door then your results will suffer, your reputation will suffer, and your work will become a big burden to bear. If you have employees who deal with clients in this type of environment then you will likely lose your best people over time and your workplace will become nothing more than a sweatshop with computers. In addition to all of those negatives, having to sell/sell/sell probably means your margins are thin which directly leads to client's not getting the appropriate service and attention, relative to what they are being billed for. Selling, itself, might be the biggest hurdle for you. Before I got into this industry I was an insurance agent, Being an insurance agent helped me immensely with being able to sell an otherwise complicated product to folks who didn't have a full grasp of all the relevant subject matter (specific coverages, exclusions, and so on). 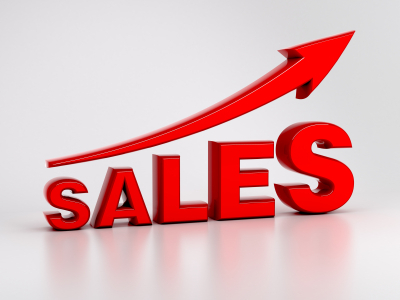 Hopefully some of these tips will be helpful for you and your SEO sales. I sold Personal Insurance (car, home, renter's, condo, jewelery, etc) and it was a weird product to sell. It's one of the few things people buy that they hope they never have to use and they have to buy it every year (assuming they have stuff they need to protect). There are some interesting parallels to selling SEO, oddly enough. The serious buyers in the insurance and SEO marketplaces are looking to protect a valuable asset; in insurance it may be their home, car, or life. In SEO it's basically their online presence. As with any other industry, there are tire kickers and price shoppers. 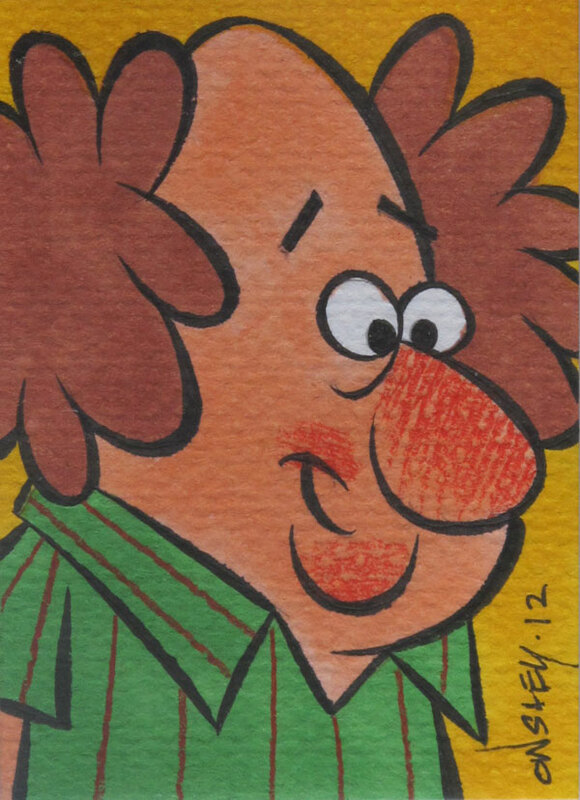 I would caution against excluding price shoppers from a "preferred" client list. They may require a bit more upfront work but just because the might be doing cost comparisons it doesn't necessarily mean they are cheap. In fact, they might be a dream client so avoiding the "well they are price shopping so they must be cheap" argument would serve you well. Remembering that the sales process is some odd combination of value, facts, and emotion helped me avoid the (very easy to fall into trap) of selling price. I knew many insurance agents that sold on price and did pretty well short term. A more defensible strategy long term, and where agents really make their money, is on retention. If you set the client's expectation that your only benefit to them is price they will leave you, soon, for the same reason. 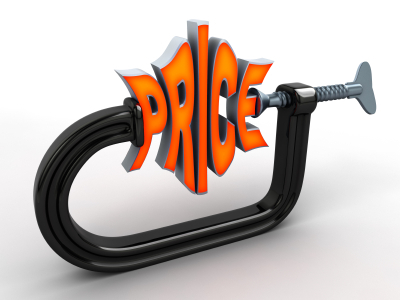 If you are looking to build a solid client base you have to be able to compete on price but not sell on price. You should be able to answer questions beyond price if you truly believe in the product you are selling. Before I was an agent I was an underwriter and responsible for the profitable growth of an insurance agency's book of business. I managed anywhere from 50-75 agencies at a time. I can tell you, without equivocation, that the agencies who avoided the trap of selling (not competing) on price absolutely killed it on retention. In the insurance world, as in the SEO world, retention is mission critical to long term success. If you let price define your business then you'll be participating in a race to the bottom and end up like barely profitable PC makers. So, how did I compete on price but not sell on it? An example here would be conditioning the client to understand the difference between best price, better price, and lowest price. A stripped down policy that doesn't cover everything they want to cover or need to cover, which is $300 cheaper that what I'm selling, isn't the best price or even a better price compared to my price. It's the cheapest but not the best. In my experience, most people who have stuff to protect (new cars, homes, boats, jewelry, etc) will spend the extra money to get a quality policy from someone they feel they can trust and whom they feel is knowledgeable and those are the the type of clients you want! A company or person who values their online presence and marketing initiatives should be willing to pay a bit more for more reputable work from a reputable company. If you have evidence to back up your claims of being that company then you will win more than you lose even if you aren't the lowest price. What never worked for me in SEO sales was pre-packaged offers. I know it works for some agencies but I always felt like I was selling Hot Cakes and Hash Browns rather than an actual service. Plus, as time goes on and the market becomes more complex and sophisticated so do solutions. Offering add-on services is great for ROI, so if you're an SEO firm maybe you start offering PPC, conversion, and social services. Add-ons make package pricing super-tough if you are doing it at scale. Packages significantly keep pace with increased RFP demand but are you really delivering the appropriate price for each client as well as for your bottom line? I do not see how you could advocate for packages across the board because the core of the "for" argument would be that you can sell 2 different sites at the same price inside of different verticals. If you do that how are you maximizing value to you and the client? You aren't, it's that simple. Are they in the same vertical? Ok, but the competition is likely different, the search volume is likely different, and so on. The discussion would be something like "We can save you over 10% per year if you pay in full with cash or a check via our cash discount option." Or you could frame the non-cash payment option, which removes the 5-10% discount as a convenience charge of some sort. The information is the same either way, but frame it in that way and you'll have much more success with those kinds of sign-ups. Package pricing works far better in the insurance world versus the SEO world. Insurance options and coverages have specific costs to them determined by predetermined risk tables. In SEO you have to evaluate competition against an unknown, ever-changing algorithm in addition to figuring out potential ROI in the PPC world against CPC's that could be all over the place from industry to industry as well as potential profitability from conversion optimization help you might be interested in offering. Being able to customize quoting options puts you in a better position to frame your offers versus a more stagnant pricing model like you see in the insurance market (even though you can still introduce framing effectively there). Of course, custom quoting comes with its own issues like spending time of RFP's versus actual work. One solution to the sunk cost on creating custom proposals is to, after your initial discovery call/feeling out call, charge a fee relative to a few hours of your time (or however long it takes you to do a mostly accurate proposal or even a ballpark figure if the client is comfortable with a range). If they balk at that then they probably aren't serious and they likely do not respect your time. If you have a solid reputation you can probably do this with some success, if you are new and unestablished you might need to bite the bullet for awhile. There are so many variables that come into play when figuring out this piece of your sales process. You can have some packaged pricing for sure, many PPC companies offer a percentage of spend as a base fee as an example. With the recent, frequent (and substantial) algorithmic changes it really is important to be able to put together a package specifically for a client based on their situation, goals, and budget. It's going to be hard to base your business on selling SEO as a widget-type process (20 links per month, 10 articles per month, etc) going forward. 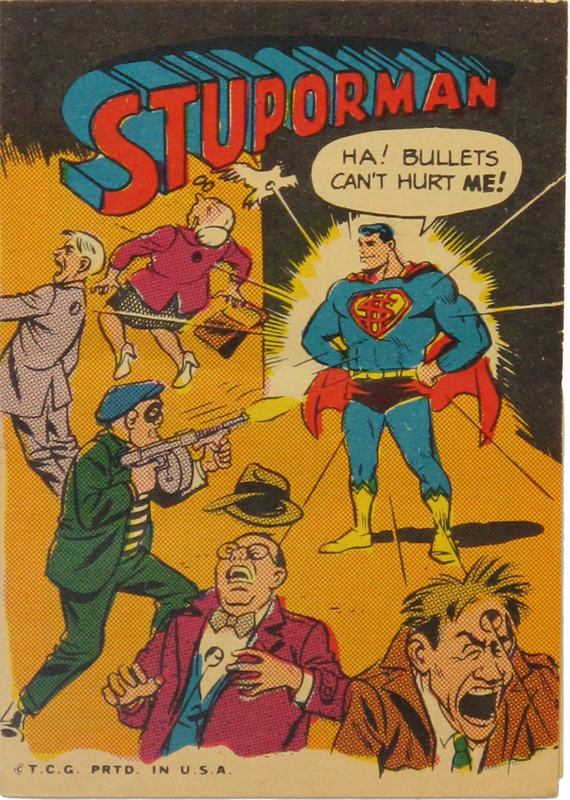 Is outing & writing polarizing drivel hate baiting or a service to the community? It is all a matter of perspective, isn't it? Some people would like to claim that it is one thing when they do it & something else when somebody else does it. Unfortunately for those who want to have their cake & eat it too, consistency matters. Even these guys know that. If you brand those who fall outside the guidelines or get hit by updates as scammers to be avoided, then when your company gets caught working an angle & "scamming" (based on your own past sermons) your own judgement gets cast against yourself. Any belief system that is imposed onto others, but unacceptable when imposed upon the person who states it, isn't a belief system at all. It's duplicitous hackery at best - possibly much worse. If your own company doesn't follow your own advice, then what does that say about your value systems? How many people have had their potential held back by listening to your misinformation & making the unfortunate mistake of trusting you? What does that sort of behavior do to the reputation of the industry? 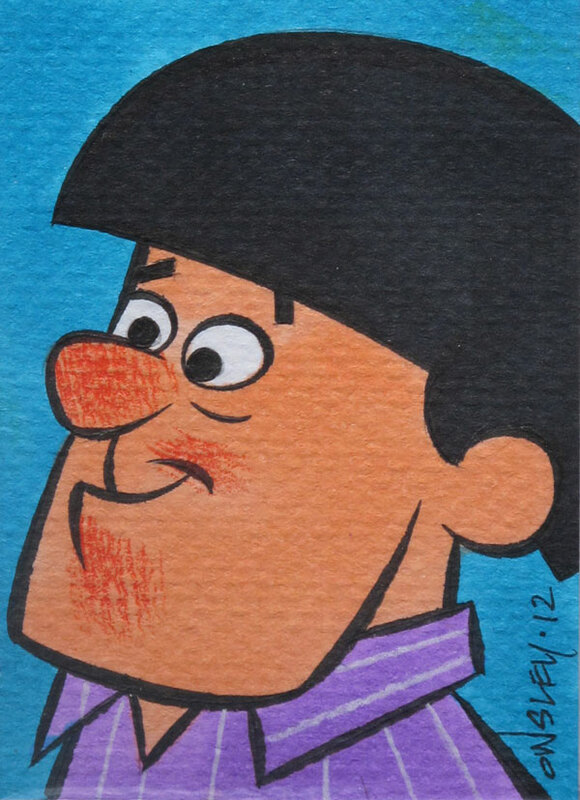 Now everyone else is suspect because you pitched bogus pablum at newbies. To speak publicly about the pitfalls of doing "blackhat" techniques and then turn around and be caught red-handed for the same just gives credibility to the naysayers claiming our industry is filled with slime balls. If you want to be a polarizing asshat, then don't be surprised when you eat your own cooking. 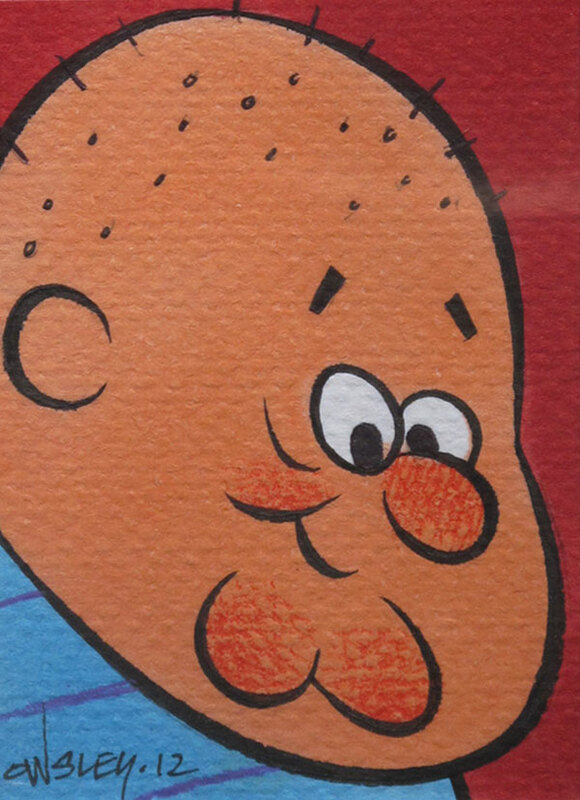 To expect anything less is an open expression of ignorance of the field of inbound marketing marketing. Citation building can be tedious on multiple fronts. Finding quality citations that you do not currently have, comparing citation profiles (yours and your competitor's), and actually building the citations as well as following up on them. Whitespark takes care of the first two, searching and comparing, quite well and provides the framework for building citations efficiently. Whitespark can also rerun your search queries to check on whether your citation has been completed or not. I like how the pricing scales with projects and searches. The pricing is a great value for anyone doing local SEO at scale and there are options to support any size agency. When you select state and city/town it sets the location inside of Google. However, sometimes you do need to add the state or state abbreviation to the query to get the best results (in my experience). Once you click on that, you can add whatever query you want. In this case, based on my experience, I just added "RI" to the end of the query to help with hyper-local targeting. You are then brought to the create project page. You can name your project and add your phone number (I added one for an agency ranking organically for the term) to check current citations. *Important* - The formatting of the number is important. You should use (401) 438-8345 or 401-438-8345 as 4014388345 results in far fewer results than properly formatted numbers. You should add the business name (yours or your client's) as the project name for more accurate citation mapping. Now just go back and add that query to that particular project on the Search by Keyphrase Page and you are good to go. The tool will email you when the results are ready. In a perfect world you'd want to do some keyword research on these terms, look at keywords your competition might be ranking for, look at the site's current analytics and PPC data (if available), and so on in order to find the best keywords to target. While we are waiting for those results to come back, let's talk about the search by phone number option. This is a great way of checking your own citations or that of a competitor, or even a prospective client (especially if their citations are a mess or missing). So I added a competitor, their phone number and saved it to my project. Very simple, very straightforward. We'll let that run and circle back to it once the report is ready. From here you can edit the name and phone number of the project, view the searches (I have the 1 keyword phrase search and the competitor phone number search) assigned to the project, and just view the citation opportunities for the business without the competitor information. You can view sources for each competitor or compare them against each other for total citation counts. All columns are sortable, making it easy to manipulate the data however you'd like to spot the best opportunities. You'll be able to see a spread of co-occurring citations on specific pages. 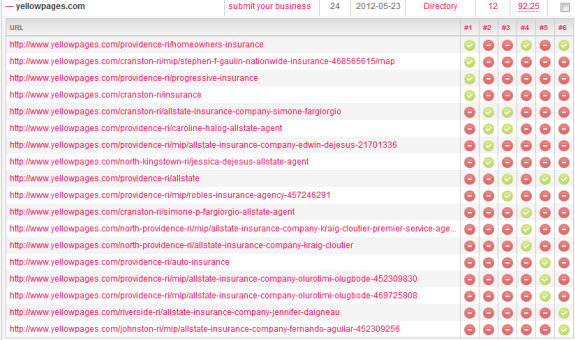 This can be useful in spotting category listing opportunities on specific citation sources (for example, being listed on YellowPages.Com/Providence-RI/Homeowners-Insurance as well as your own listing). When you check off one as "useless" it simply gets grayed out. A cool feature here is that already acquired (citations found by Whitespark and citations checked off by you) carry across other searches in your project. At any point you can come back to the search and re-run it (after a citation building campaign is always a good time) to see the status of your citation profile. If you choose "Export CSV (w/URLs) you get all of the above plus the url's of the actual citations. Choosing the first option makes it incredible easy to hand off to a citation builder. Search by keyword and the tool will find all the top ranking businesses, then find their citations, and present them in a big list for you. 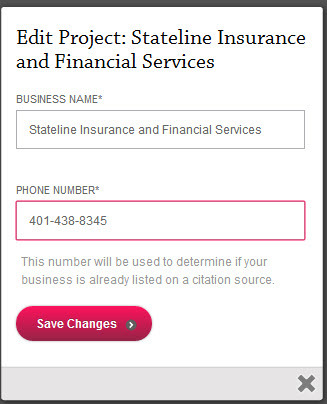 Search by phone number, and the tool will find the list of citations for that particular business. 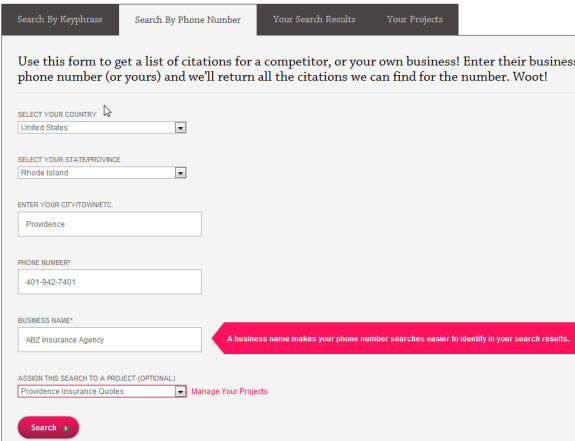 Use this to find your own citations, or a specific competitor's citations. Use it to find places where your competitors are listed, but you're not, and then get listed in those places. Use it as a competitive analysis tool to identify where the competition is getting citations. This extends beyond basic business directories as the tool will reveal competitor's citations from local blogs, newspapers, event listings, job sites, business partners, etc. Looking at their strategies will give you ideas for creative citation building tactics you can employ in your practice. I think the best way to look at the tool is as competitive analysis. You run a keyword search, see who's rankings, then get a big list of all the citations they collectively have. You can click the "compare citations for this business" link to see who's listed where. A great little hidden feature of the tool is to do a phone number search for your business, plus a keyword search, then in the Your Search Results section, check off the two searches and choose "compare" from the dropdown at the top of the table. This will show you all the places where the competition is listed and you're not. Run a LOT of KW queries on the local citation finder in the city/niche and associate them all with a project. So, for a lawyer in chicago: chicago lawyer, lawyers, attorneys, dui lawyer, robbery lawyer, criminal lawyer, etc. 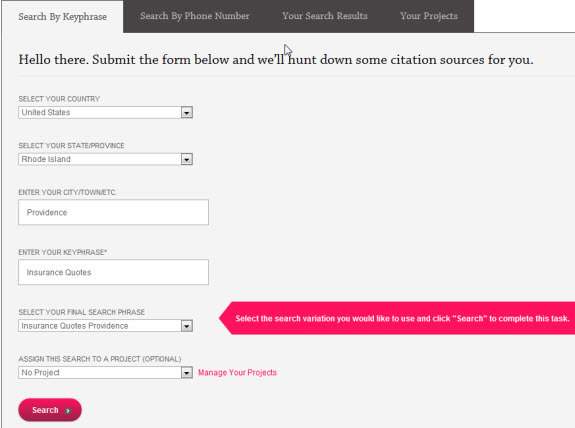 Go under “Your Projects” and ALL the citation sources from all the queries will be listed under “view sources”. Ctrl-f in your browser for “law”, “legal”, “chicago”, “illinois”, etc. Any niche or location related terms. Copy all the domains that match the Ctrl-f searches into a spreadsheet. These are your hyper local citations. We found that getting listed on sites that had the city or keyword in the domain provided a big boost in the local rankings. The more you can find, the better. You'll have to pick through the list to pull out actual directories, as many of the results will be businesses with the city or keyword in the domain, but it's worth it. A bunch more here, with cut & paste code near your favorites. Hello dear managers of http://www.seobook.com/! My name is Olivia, and the issue I’m gonna to discuss is for sure not new, but really actual and complicated, otherwise your website and therefore business wouldn’t have lost their favourable positions. 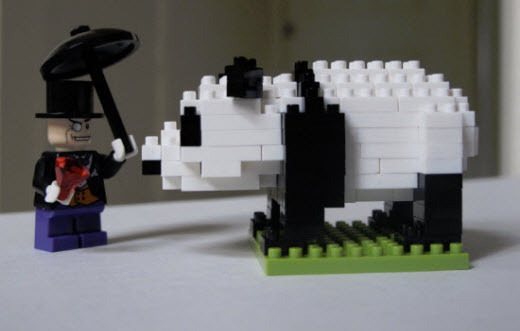 Yes, I want to talk about Google Panda and Penguin. These virtual beasts become more and more freakish. Don't you think it's time to pacify them? Google intends to clean its search results from poor content websites, low quality links and hype. Are you sure your website has nothing common with this stuff? Our team has been constantly studying Google search algorithms. We have already faced the latest freaks of Google Panda 3.4 and will be happy to win back your top positions. black hat SEO applied earlier. constatnt situation analysis and reporting. Contact us and you will get a reliable website healer, strategy planner and safe guard of your top positions. Our Web Site [the url] is definitely related to yours and by placing a link from your site to a Web page of ours, you may not only bring further value to your visitors but you may improve your search engine rankings potential as well. By NOT being what Google and other search engines refer to as a "dead-end" site or a site that does not link to other industry related and content sites, your rankings have a good chance of increasing for important keyword searches. We can explain this in further detail following a response from you. Create FUD & some huckster will sell into your messaging with inbound spamming. If you ever wonder where the "reputation problem" of the SEO industry comes from, wonder no more. One company in particular does a great job of riding these trends on through to their logical conclusion, then riding them a bit longer. And that company is Google. On a positive note, it great to see Demand Media had solid growth & a stellar quarter. They will plow that capital into registering about 100 new domain extensions. Nothing to worry about there. It's not like they were known to redirect expired customer domain names for their link juice. Just about any independent SEO worth their weight who publishes a number of websites has at least once hit a snag & been filtered or penalized. A person can say "not me" but how do they operate optimally in both the short term and long term if they never operate near limits or thresholds? 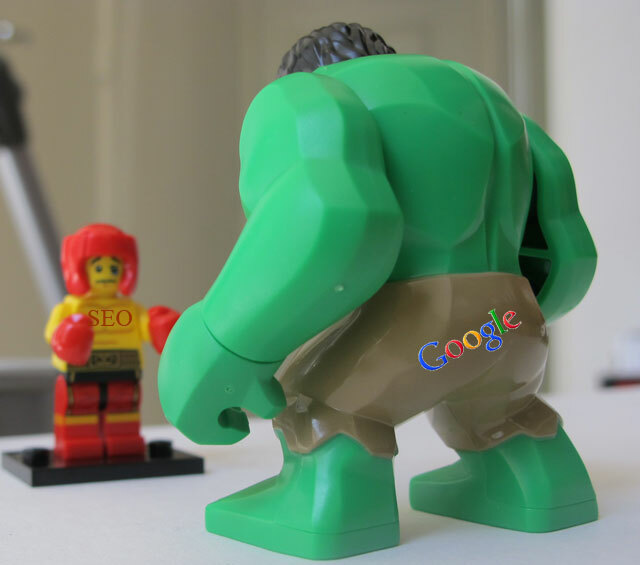 But now that Google has begun actively penalizing sites for unnatural link profiles & tightening these thresholds, competitors have been giving one another shoves. Some of the most widely highlighted examples of crappy SEO were not attempts at SEO, but intentional competitive sabotage. Recently there have been numerous claims that negative SEO doesn't work made by people who should know better. Many of them don't know any better though, due to a combination of being naive, trusting public relations messaging as being the truth, and a general lack of recent experience on smaller sites. ... it is easy to bleat on about how negative SEO isn't generally possible except for weak sites. Sites that (allegedly) deserve to be hit & must (obviously) lack quality to be so weak. 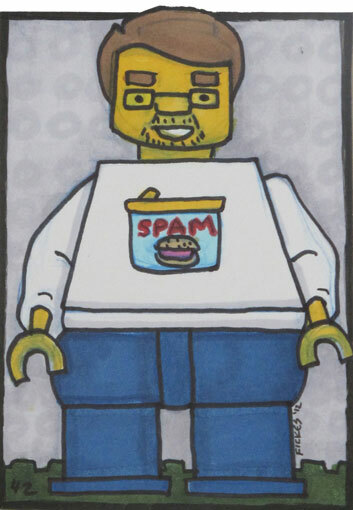 The Risk of Labeling "Spam"
As highlighted above, some of the most frequently & widely cited spam examples were not examples of spam, but examples of competitive sabotage. 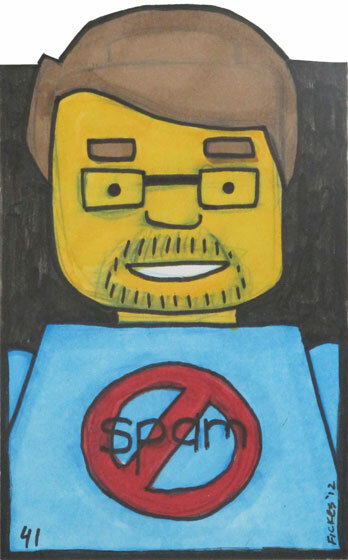 Thus anyone who recommends highlighting "spam" can potentially hose businesses that did nothing wrong. Nobody ever got fired for choosing IBM. It is far easier to get paid to do nothing than it is to get paid to fight against the waves of the ocean. So long as Google keeps feeding macro-parasites trying to kill off smaller & independent players you can expect a lot of consultants to push themselves as being a good fit for the big brands that Google is explicitly designing their algorithms around promoting. However this trend won't last forever. Many of those bigger sites are becoming ad networks & at some point Google will see that competitive threat for what it is. They will then decide "the user" would like a bit more diversity in the results & to see more smaller sites rank. Much like wealth, business distributions follow power laws & most businesses are small in scale. Sure "build brand" is a nice cure all, but building a strong brand requires scale. Not all businesses have the margins required to build brands. And businesses take time to grow. Scale & quality are not the same thing. Some businesses are intentionally kept small because their owners feel scale requires compromising on quality. Remember the Olive Garden review that went viral, or what the biggest banks did to the global economy a few years ago? Since going public in 1987, Fastenal has been the fastest growing public company. The company was started by a guy who was sorting bolts and nuts in his basement. Now that they are worth $13 billion they are virtually untouchable, but if 30 years ago online was a big sales channel & someone negative SEOed him his business could have been toast. The Fastenal story began in November 1967 when company founder Bob Kierlin opened the very first Fastenal store in his hometown of Winona, MN. The front counter was a salvaged door, about a dozen people attended the "grand opening" weekend, and the first month's sales totaled $157. One of the biggest failures of modern societies is the self-serving myth of too big to fail. If SEOs believe that size of a business is the primary legitimate proxy for quality, they should either hire thousands of employees or go get a job at Wal-Mart.